With all the hype that The Legend of Zelda: Breath of the Wild is generating, it's no wonder that fans are clinging onto every piece of information received about the latest Zelda adventure. 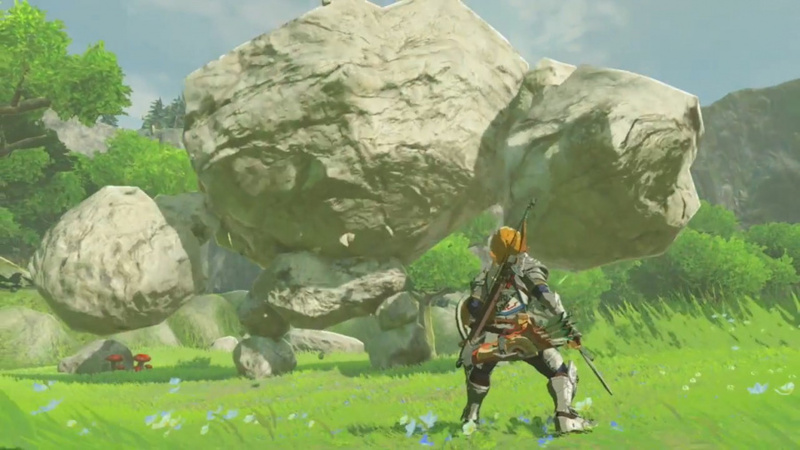 Whether details are learned from E3 gameplay or developer interviews, the Breath of the Wild puzzle is slowly unravelling - but we're still far from close to knowing much about the game. With that said, IGN spoke with series producer Eiji Aonuma, executive producer Shigeru Miyamoto and senior product marketing manager Bill Trinen in separate interviews to learn more about the game. One of the key pieces of information conveyed is that Breath of the Wild isn't heavily focused on story. Shigeru Miyamoto: This game has a heavy focus on experience and also freedom. It's not really story heavy. You can choose to do all of the tasks and all of the missions and you'll still get to the end, or you could choose not to do all of them, and you can still get to the end. The story isn't as clear cut as it was in the past with the existence of Ganon, Link, and Zelda. With this one it's a little bit more vague. You'll kind of feel what Ganon is, and you're going to feel maybe this is what Zelda is like, or this is what Link is like. It's really Link's adventure in discovering all of that." Bill Trinen: They've done a really good job of weaving the story into the world, giving you just enough direction to know, generally, where you need to go to pursue it. If you're off doing other things and you decide you want to go complete the Shrines, or you want to go climb mountains, or you want to go look at deer in the field, or find that pond that had all the ducks in the trailer, you can do that. I get into the game and then go off to do random things. Then, maybe after a couple days of playing, I'll think that maybe I should actually go to that place [someone I met in the story] talked about. Then, you go there and get enough clues to point you in [the next] direction. It's does a really good job of guiding you to where the story is, but it still feels like a sort of chance encounter out in the world when you come across somebody who has a role to move the story forward. 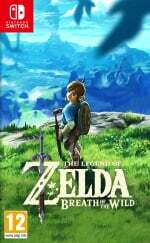 While this truly does sound amazing from freedom and exploration standpoints, this writer feels a little disappointed as one of his favourite aspects of the Zelda series is the story-telling that each game possesses. Only time will tell how much this game sticks to an over-arching narrative. I don't know... I wonder. [laughter]...One convention we haven't challenged, as you probably saw in the second demo, is that again Link awakens from slumber. So, you know, the green tunic maybe, maybe not. The clothes he's wearing right now is actually the same clothes that he was wearing in the trailer that we've shown previously. We thought that having him wear this tunic for this demo would make it a little more familiar to people watching the game demo and trailer this time around. Link gets that blue suit at a very important juncture in the storyline, and we also showed [a] suit of armor you can get too. There's also times when Link will venture out into the cold and he'll need to appropriately equip himself, so there's definitely a lot of variation types of clothes he can wear." This is an interesting one. Will Breath of the Wild completely shift away from the norm and have Link as the hero clad in blue, or will the green tunic make its return later on in the game, like the Hylian Shield in Skyward Sword? The full interview can be read here. What are your thoughts on the comments above? I've only played Wind Waker and about 20 hours of Ocarina of Time, so ymmv, but I kinda thought none of the Zelda games are very story-heavy. In Wind Waker there really is very little story. Puzzle and exploration far outweigh story in my experience. You go round trying to work out where to go/what to do for ages, then you eventually hit some kind of key stage where you'll get an injection of a bit of story, before you go off again. And it's not like there's a log of story injects you can refer back to during the game, so I've finished Wind Waker but can't really remember anything about the story because I spent so much time in between the brief 'story' moments. I wish Wind Waker had a feature where I could revisit the cutscenes, or at least read a transcript or overview. Games don't need big stories anyways. Good news keep coming for this game, next they're going to announce mirror mode, let's go. Well, most Zeldas are pretty light on story. It's there, and it's enjoyable, but it's a light touch. And the original Zelda was incredibly open world, so this is getting back to roots. This game is finished, and certain Nintendo staff are playing it. Goddammit! I want it! While this was mildly disappointing at first, I recall in the 'Beyond the Plateau' video posted by GameXplain, the tree house and developement team were really excited about the story. Of course this is partly to further promote the game, but it does give me hope for an interesting story to accompany the amazing gameplay and mechanics. @gcunit I agree. Zelda games are a bit lacking in story, but I think they make up for it with atmosphere. They have a bit of a minimalistic feel that I've always liked, it lets me use my imagination. I hope hidden chest contains Legendary Cap, Traditional Apron and Orange Lo-Tops. I think by non story driven it means you aren't constantly going to be prompted to go and do an objective. I think it will be similar to most mmo where you can choose when you want to continue the story. But I think there will be a decent story line as anouma said when asked if there will be lots of character and towns etc in the game 'of course there is it's a Zelda game' lol. I have mixed feelings about this. I would have liked this game to have more story, but a minor story should help the developers to further push the boundaries for gameplay and exploration. @gcunit "I wish Wind Waker had a feature where I could revisit the cutscenes"
I don't play Zelda games for the story. I play them for the awesome dungeons and boss fights. Story only matters when I'm playing JRPGs. To me it seems logical the narrative of Zelda is going to change for this game- because it doesn't have a narrator. Ocarina had Navvi to talk to, Majora had Tatl, Wind Waker the King of Red Lions Twilight Princess Midna, Skyward Sword Fi, Phantom Hourglass Linebeck, Spirit Tracks Zelda, and even Link Between Worlds had Ravio as that character that fed you objectives, backstory, opinion, and direction so you progressed through the story A to B to C. Because Link doesn't talk to himself, you needed someone to talk to him. Without this character and the linear story, you can't have a setpiece in A that will effect C so easily. Instead I can see an idea where you explore sections A, B, C, D, E, and F which will all have contained stories and characters which you can experience in their own contained worlds, and then those stories will come together at the end. Personally I loved the narrative/cause and effect of the stories of Ocarina, TP, and Skward because they hid things in plain sight and then you were hit by the sting in the story that should have been obvious. But it'll be interesting to see how they use a different gameplay to make a different style of story. I'm also a little disappointed to hear about the slim story arch. I loved how they had a pretty deep one (for Zelda) in Skyward Sword and wished that could be in BotW too alongside all this awesome gameplay. I guess that's how the original NES one is too though and they seem to be basing a lot of it on that. Oh, well. It'll be awesome either way. I like this idea just fine. Zelda's never been that story-heavy, anyway, and the best games in the series (Zelda 1, ALttP) are the games where story really took a back seat. UGH. I'm going to guess it's because Miyamoto is meddling again. He really needs to stop cutting out story. Hm. I'm not sure I'd thought about the fact that almost all the games since Link to the Past start with Link sleeping and waking up. Darn, I don't like it when there's no story. Was really hoping we'd get a bit more one of these days. The two biggest elements of a Zelda game are puzzles and exploration, and BOTW has them in spades. So we're in good hands. This saddens me. The two biggest pieces of Zelda are the Story and the Puzzles. I'm still interested but I hope they won't totally abandon the older Zelda formula in future games. I don't care about the story but I'm concerned this game will be so free-form that it doesn't create a focus or motivation to beat the game. Giant open world games struggle to keep my interest. So this is cementing my theory that this link may be from a previous game and was held in stasis and lost his memory only to awaken in a devastated hyrule. Hero was defeated previously. Everyone... Go back and play the NES Zelda games (or at least Zelda 1), then you'll understand what this game is going for in its approach to open world freedom. You'll also have an understanding of why games like Dark Souls are considered to be inspired from Zelda 1. In regards to story, there's a theory that the Link in this game is the same one from Zelda 1, 2, etc (aka the fallen hero timeline). That would canonically explain why he's male, and the most battle hardened version of Link who has appeared in the most games. I haven't been this hyped for a Zelda experience since the Ocarina of Time release. It's overwhelming. I think people are taking this a little too literal. I'm sure there is still a good chunk of story to this game but they want to emphasize the freedom the player will have. I usually require a story of some type to be given motivation as to why I should care about what's happening in a game or why I should keep going. Breath of the Wild seems to be attempting some kind of Dark Souls thing where the lore is scattered around but there is no real direct narrative. This seems like Nintendo's first attempt at a real open world game, I worry that the open world they created might be too empty if this is the direction they are taking. Other open world games, like Elder Scrolls and Fallout have a massive world with tons of things to do and the freedom to do many of them any way you want, but there are many story driven quests within that open world even outside of the main quest, which is also story driven. @MrGawain who's to say that the old man isn't that "prompting" figure you assume will be missing? We obviously don't know so much more than we do about the game at this point. I have never played a Zelda game before. Yeah I'm definitely starting off with a Zelda game before playing this game. But I'm sure it'll have at least a good amount of story. BTW, my Zelda game first Zelda game I'll play is Wind Waker! Here's hoping it basically all comes together in one of the best Zelda games ever. I mean don't get me wrong here I like open ended games and all, but come on nintendo just because it's the first time you've done it doesn't mean it's some new idea. Anyway it's funny how many people criticized XCX for being light on story, zelda does it and now it's ok right? This sounds a little too open and empty to me. I hope to be proven wrong. @WanderingPB I'm just laughing at two things, nintendo's constant need to pretend like they've done something revolutionary, and now suddenly it's ok among gamers that a game doesn't have a strong story. It does sound like Dark Souls. You don´t really see a big story there, it is just pure gameplay and a fantastic world. While I really liked how the story is told indirectly by the environment (e.g. ruines) in the demo, what Miyamoto said above is almost making me worry. What he says sounds almost like the nonexistent story elements in Super Mario (which is okay for that game franchise). On the other hand, Bill Trinen's statements sound more like it, there still need to be situations where a character tells you what's going on or what you should do, even if you have the freedom to not do it. @FantasiaWHT: Who told you that? It's actually the opposite, games need more good storytelling as most of them are lacking to tell a good story without making it a movie with button input (there are other ways to tell a story than cutscenes). @FierceRagnar: Are we talking about the same game franchise? Zelda was never light on story, actually it's one of the most story-driven franchises I know. For me, there would be no point in playing Legend of Zelda if there wasn't a story. For example, It was the story that made Skyward Sword really stand out, apart from the awesome sword fights and the collect-and-improve-items system. Another example: The moment I had finished the story of GTA V I literally lost interest in that game, it has nothing to offer me that I don't already know. Having a non intrusive story is a good thing I think. I am not a fan of sitting through cut scenes when I'm playing video games. I would rather just play. If I want to watch something, I'll put in a movie. Video games are made for interaction. I'm sure the green tunic, hylian shield, and master sword will be obtainable in the end game. They may pull SS and have you have to go out of your way for the tunic and shield. Chances are the master sword will still be story driven. Can't wait to play this. Cool, I guess it's kind of like Majora's Mask; you have to get to the final boss but you have the option to stop and figure out a deeper story within. I like shows and games that have a mysterious plot you have to uncover. 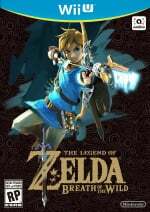 "While this truly does sound amazing from freedom and exploration standpoints, this writer feels a little disappointed as one of his favourite aspects of the Zelda series is the story-telling that each game possesses." I agree 100%. The story is one of the main reasons why I keep coming back to the Zelda franchise; I'm fine with having more freedom and exploration in the game, but I also like the strong story presented in each title. It's entirely new from a Zelda standpoint and it does innovate in general in few key areas, specifically the ability to go anywhere without any sort of story progression needed whatsoever. Also early on Aonuma admitted he was inspired by Skyrim so there's not exactly denial when it comes to pre-existing sandboxes. As for the XCX comparison, I noticed more negativity about the lack of story among some reviewers as opposed to the general gaming populace. Not story heavy?! Well, that's disappointing. I see they're also picking up some negative points from "Xenoblade Chronicles X" in addition to some of its positive points. On the other hand, the original "Xenoblade Chronicles" had an excellent balance between open world exploration and an epic story. @shani Ever played other Zelda games besides the 3D Zeldas? They're really not story-heavy for the most part. The point is that it needs a huge story as much as Dark Souls. Not very much. @brandonbwii even strictly in terms of zelda it's not exactly new. Zelda 1 gave a lot of freedom to go anywhere. Very few dungeons even required an item. 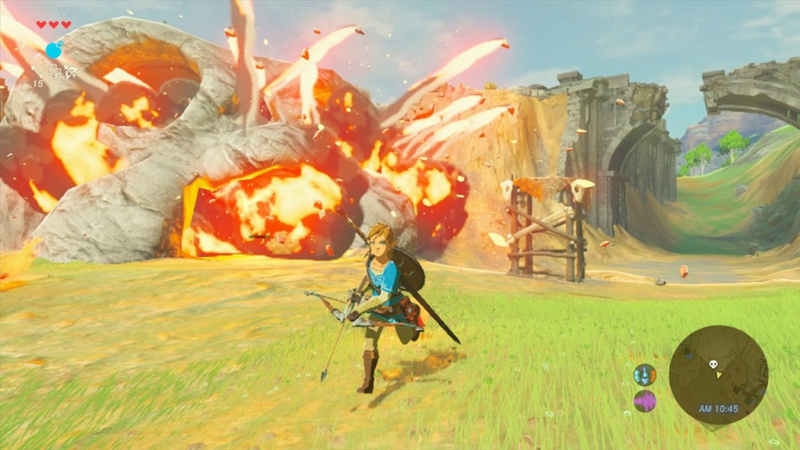 There's been open world games that don't lock you to story progression, and even zelda has done it before. It doesn't really bother me cause it's mostly marketing bs but it's just funny. I want this game to make me cry. And it's going to be hard to do that without a deep story. I haven't yet cried at a film, anime or game (I really wanted Xenoblade Chronicles X to make me cry, but at the best I felt emotionally connected to the characters) , and I want this one to be the first. @FierceRagnar Nope, I tried the original LoZ but didn't like it much, Link Between Worlds and Minish Cap were nice, but it still wasn't the same for me, I stopped playing them eventually. Maybe because there was less story to follow? Never thought about it that way. I think it's also because I don't like the 2D perspective that much, but OoT and (almost) every 3D Zelda after that. What I'm hoping for is that there should be lots of local story lines and little stories that don't necessarily connect directly with other quest lines in the other side of the world, but they can share some connections through some characters or events. Kinda like Majora's Mask had separate stories in the different regions, but also connections seen mostly in the Clock Town. Sounds like there will be still be lots of story but it will be more like Dark Souls where if you want to know it all you have to figure it out from clues. @WanderingPB I agree they've done revolutionary things before, it's just now they try to hard to say they're revolutionary. It just feels like they take every little thing, even when it's been done before and try to claim they've done something visionary. And it's not like they have to, no one is going to be mad if they say hey we liked the style of some of these games so we went with that this time, it should be a lot of fun. @Project_Dolphin starfox zero was a bad game wrapped in a gimmick to keep people from ignoring it completely. The lazy sf0 is a far cry from mario 64, oot, animal crossing or even yoshi's island. @Yorumi "Star Fox Zero's" quality pretty much depends directly on one's perspective of the controls, with pretty even numbers on both sides of the fence as far as I can tell. If the controls worked for you, then it's a great game. If they just never clicked, then it's a lousy game. The graphics aren't top notch, but they are good enough when you consider the fact that the processing power is divided to stream two different views at all times. I need to borrow it from the library some time to determine for myself which camp I'm in. I know it's marketing BS. I was just finding a way to make sense of the BS LOL. You know like Metroid Prime being a first-person adventure and Dead Space Extraction being a guided first-person experience instead of a rail-shooter. Also NO PR person is going to say they were heavily inspired by another franchise. They just say what's new that bring to the table even if there's nothing new to begin with. Activision and EA are quite notorious for this as well. I would have loved Star Fox Zero if the new controls were restricted to the Arwing's all-range mode. It truly added to the experience IMO. The fact that Nintendo found it necessary to include those controls in EVERY mode is what bugs me. Also with all the talk of innovation that they spew the ONLY innovation was the polarizing controls and for me that's pretty unforgivable (especially since I was one of the few initially excited at the possibilities the GamePad would bring). @BulbasaurusRex even independent of the controls it's a pretty low quality game. It's a retread of 64, which was a retread of the original, so no effort was put into the story. A lot of the levels are very short, and it doesn't have multiplayer. So overall there just wasn't much effort put into the game. @Yorumi A retread of those great games isn't a bad thing (although I admit I'd have preferred a brand new story), and it does indeed have multiplayer. You can play through the campaign in two player coop with one player as the pilot with a traditional controller and the other as the gunner with the GamePad a la "Mario Kart: Double Dash" (or "Star Wars Arcade" for Sega 32X). It's probably even the preferred method of play for those who have trouble adjusting to the controls playing on their own. Now it doesn't have a competative multiplayer mode like SF64 (which while pretty enjoyable was still a tacked-on clearly inferior game mode) but an arcade shooter like this doesn't really need one. Besides, it probably wouldn't be worth it when it could only be online-only (no local versus mode) due to the fact that you can't use two GamePads with the same Wii U system. @BulbasaurusRex the one thing praised about assault is it's multiplayer, and people lament that it's not online. The best selling games on the wiiU are multiplayer games, mk8, smash, and splatoon. The fact of the matter is they removed an entire mode from a desperately short game, that's sold at a high price compared to arcade shooters on pc, and it was overall a lazy effort. It's not something you can deny no matter how hard you try. SF0 was a game they were very lazy with and did not put effort into. They thought they could get away with just tacking on a gimmick and calling it a day. @Yorumi I suppose it was a little lazy not to include such a mode (although it would still be awkward to have one that couldn't be played locally), but like I said they made up for it by including a coop multiplayer mode instead. Anyway, that little issue and the story are the only places they were lazy. They put a ton of effort and did an excellent job with the controls (for those who like them), the audio is excellent, the graphics are as good as they can get with the imposed limitation, the campaign length is not so bad as to be "desperately short," and while it is relatively short compared to other genres it's meant to be replayed many times. Nobody complains about "Star Fox 64" or "Star Wars: Rogue Squadron 2: Rogue Leader" having a short campaign, and the latter doesn't have a multiplayer mode at all.